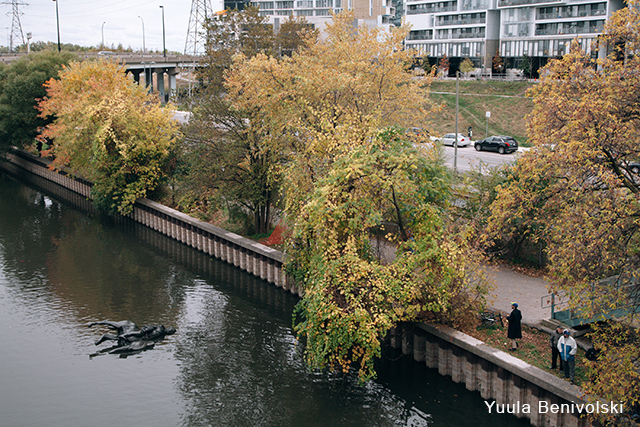 There was an air of mystery this fall in Toronto as King Edward VII began his float down the Don River — mystery that took immense planning, production and correction. 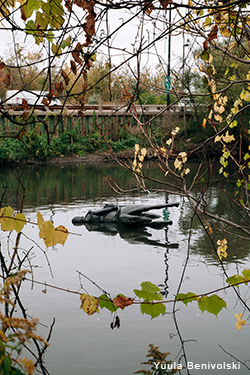 As part of the Don River Valley Park Art Program, the performance art duo Life of a Craphead (Amy Lam and Jon McCurley) presented King Edward VII Equestrian Statue Floating Down the Don every Sunday between Oct. 29 and Nov. 19. The fabrication and planning for the event involved a series of meetings each addressing unique questions: what do we make this out of? How do we make it float? Can we make it bigger? What if it sinks? How do we load it into the water? What happens if it becomes stuck on the banks? What happens if we fall into the water? With great skill, the team at Maker Technical Sculpture Services were able to create a 3D sculpture made to emulate the 15-foot bronze equestrian statue that currently sits in Queen’s Park. From there, the artist team held a trial run and quickly realized it would take eight-10 people to get the sculpture in, and out, of the water. With a larger team on hand for the performance, the event began on Oct. 29th with the “dumping” of the replica statue. Once in the muddy waters, McCurley began towing the sculpture upstream. It didn’t budge. The weights on the horse slowed the process. 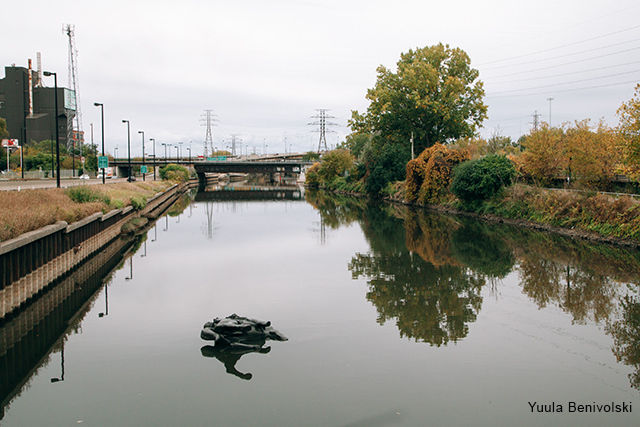 McCurley quickly snipped the weights, and the sculpture began its long haul upstream to the Queen Street Bridge where he released the rope and it began floating. The team learned quickly about the shallow sections of the river, with the horse hitting bottom several times. 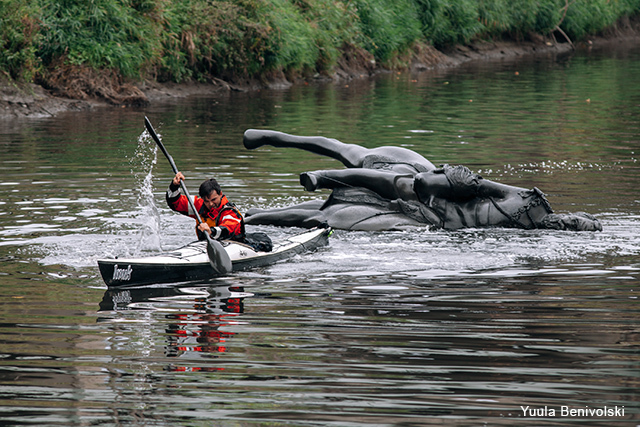 Using a paddle and pole to poke and prod the statue from the river banks, it continued its float. Over the four weeks, the artists experienced a variety of different weather conditions, from sunny skies, rain and even snow. The team learned to equip themselves with extra layers of clothes, hip waders and life jackets after the second performance was cancelled due to heavy rains. 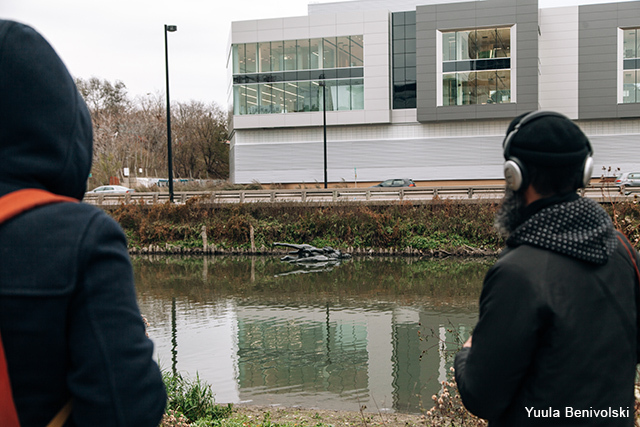 The event was well received and many came to the waters edge to watch the performance, and follow the statue as it meandered down stream. Life of a Craphead’s performance addressed the persistence of power as it manifests in public art and public monuments. For Life of a Craphead, the statue is a literal representation of the systems of power, and the decisions thus made, that shape Toronto’s urban landscape. 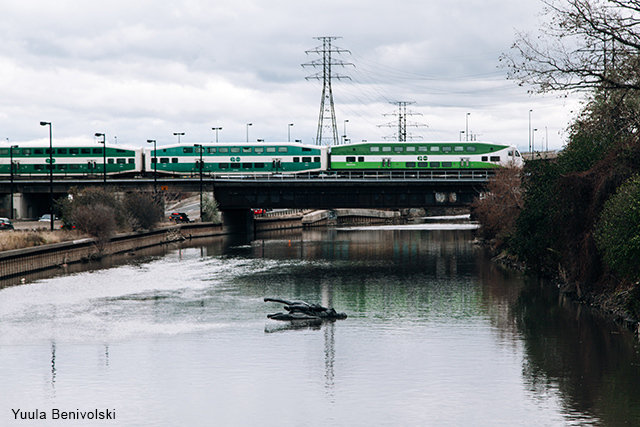 These decisions are reflected, too, in the channelized section of the Don River where the performance took place, still polluted from its past as a dumping ground for industrial waste. Lam and McCurley are both performance artists and comedians. 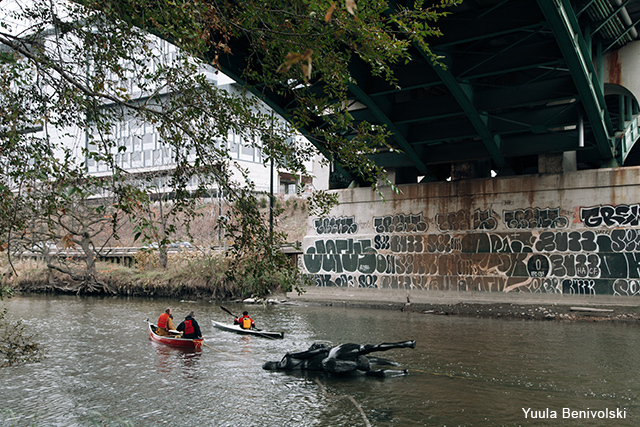 They often use humour as a strategy for engaging difficult conversations and histories – in this case, the image of King Edward VII floating down the down river was both a comedic gesture, and a prompt for candid conversation about Toronto and Canada’s past and future.